With the Electricity Kit, educators can use hands-on activities to introduce students to electrical circuits. 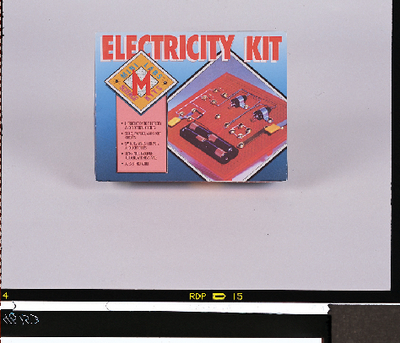 Lesson topics that work with this kit include voltage, current and resistance, and parallel and broken circuits. The provided, illustrated teacher's guide includes instructions and suggested activities. Ordering information: This kit includes switches, wires, contacts, resistors, light bulbs, a teacher’s guide with instructions and suggested activities, and more. Four AA batteries are required but not included.